Research shows 47% of the time we are mentally off task, reacting habitually rather than responding wisely to situations and people. Mindful presence allows us to tap into the full potential of the mind transforming the way we lead. Ovio’s Mindful Leader Day Retreat is part of a global, evidence-based, mindfulness movement used in companies such as Google, LinkedIn, Apple and Harvard Business School to dramatically increase wellness, creativity and purpose-driven performance. Break free from convention and embark on Ovio’s experiential journey towards leadership excellence. A new era of leadership is needed in our fast paced digitally dependent world where demands on our attention are at an all-time high. An increasing body of evidence suggests mindfulness practice can have a significant impact on leadership performance and wellness. Whether you are leading yourself, your team or your organization this fully immersive day will introduce you to powerful mindfulness strategies and practices essential to effectively lead yourself and others. Join us for a highly interactive one-day retreat followed by a four week online programme designed to maintain the techniques you have learnt for inspiring well-being, collaboration and high performance. Gain the tools needed to break through your limitations as a leader and inspire peak performance. Weekly exercises and resources delivered by email for you to practice. Reconnect with Cheryl and your group to review and set a plan for continuation. 9:00am Coach departs CBD. Setting intentions. 4:00pm Coach departs Boomrock. Reflection. Ovio consultancy offers personal development and wellness workshops with modern, science-based mindfulness techniques at their core. Ovio comes from the Italian word, “ovvio”, meaning clear or obvious. For us, it’s about finding clarity in a stressed-out, digitally dependent world. At Ovio we believe people are overwhelmed with information, in their daily lives. Our workplace programmes are uniquely designed to help individuals cut through this complexity to live with purpose balance and wellness. Cheryl Strawbridge is a qualified mindfulness consultant and life coach with a Bachelor’s degree in biochemistry, physiology and psychology. Cheryl spent 18 years working in large multinational corporations, in New Zealand and internationally. During this time she witnessed many colleagues and friends suffer from the impact of a fast paced, stressed out lifestyle. This drove Cheryl to take on further training, and change her life direction. She now inspires and educates people to live with greater purpose, passion and wellness by speaking to corporations, organisations, schools, community groups and at fundraising events. 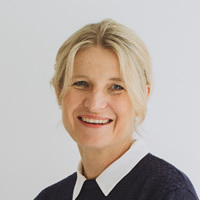 Cheryl is the director of Ovio, a coaching and mindfulness consultancy. Mindfulness has had a profoundly positive impact on her life. She loves watching people’s lives transform as they embrace its teachings. Cheryl combines her empathetic approach with her vision that a rich and fulfilling life is possible for everyone.